Volume six of one incarnation of the Shin Tenchimuyo DVDs (Pre-boxed set but post-VHS and laserdisc). 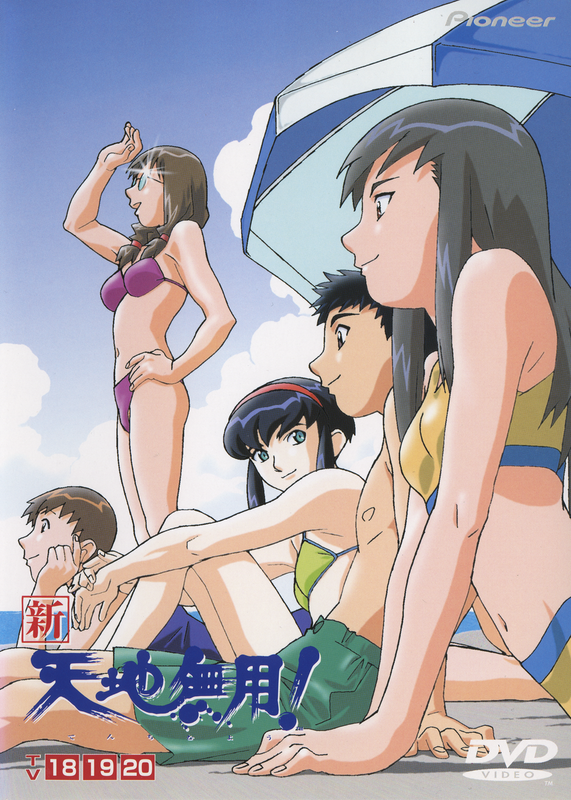 The insert can also be found on the AZUMANGA TWO page. The front cover and interior insert are here. I <3 the interior insert for obvious reasons.